Quad King is back! 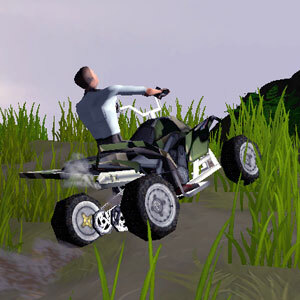 Jump into this fun filled 3D quad bike racing game. With all new epic levels and user face. This sequel takes everything that was good about the first games and dumps the bad stuff. Race along the huge levels, trying not to hit any of the obstacles along the way. Avoiding holes, branches and even giant spiders among many other things. Arrow keys to drive.